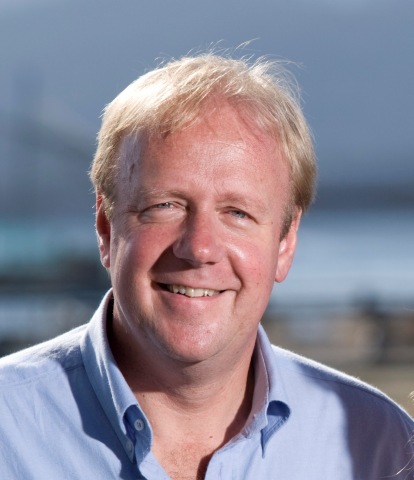 Peter Bender, owns Huon Aquaculture Co., Tasmania's most successful sea cage salmon farm and grows 13,000t of Atlantic Salmon each year on the AQ300 IR Sensor System. Peter believes that "AQ1 feeding control technology has provided my business with a competitive advantage because we grow fish faster than other farms, minimise environmental impact and have a complete information record on the feeding activity of our fish. Managing the feeding process is critical to our profitability." Dr Sunil Kadri, an Associate Professor at Glasgow University and Director of Aquaculture Innovation, has deployed AQ1 technology in a variety of research projects across Europe. "There is no better tools in the market to undertake feeding behaviour and fish performance trials. They have enhanced the quality of research outcomes for many years across many species including Sea Bass and Bream, Atlantic cod and a variety of salmonids. Bob Richards, the owner of Australian Barramundi Culture understands the pioneering spirit and was an eager participant in the development of the SF500 for pond farmed barramundi. "The SF500 Sound Feeder was developed on our farm. I call them my 'silent guardians' because I know they are there 24/7 watching over my ponds. Their primary role is the automated control of feeding, making sure my fish are all fed at the same time, at the right time and at the right rate. On top of that, they monitor my power, dissolved oxygen and other water quality parameters, setting off alarms if anything fails. The software is easy to use and can be driven from my farm vehicle, office or anywhere in the world through the internet." Haruo Kakuta is the President of Hyoshoku in Oita, Japan and a dedicated user of the AM100. Kakuta san regards "the AM100 as a highly accurate and reliable system on both kingfish and tuna. Previously we were manually sampling 50 kingfish from each cage across several farms and the use of AM100 resulted in huge saving of time and labor and far less fish stress and body scraping. Our Tuna are normally harvested at the size range of 30 to 50kg and because the price of tuna auctioned at port is much higher not knowing the exact size at harvest could cause substantial loss of profits. Before using AM100 we could only guess the size of Tuna from visual observation but now with AM100 we are getting far more accurate data than ever before." Craig Hughes, Operations Manager for Blaslov Fishing Tuna Farms feeds all his cages with the AQTV Pro Tuna Feeding System and says, "As margins come under more and more pressure we cannot afford to just throw boats and labour at feeding any more. We need to be sure we are maximizing growth without overfeeding. Now we can do that efficiently".